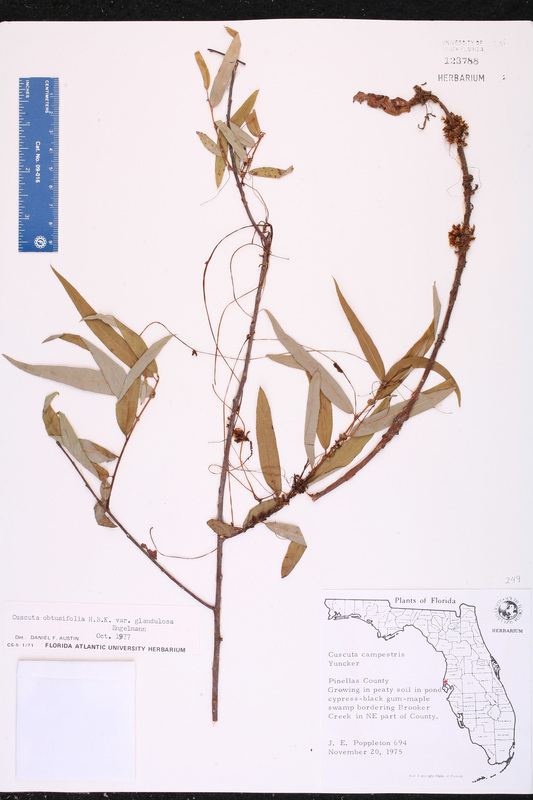 Habitat: On Myrica, Diospyros, etc. ; margin of wood. Locality: USA. Florida. Lee Co.: Near Fort Myers. 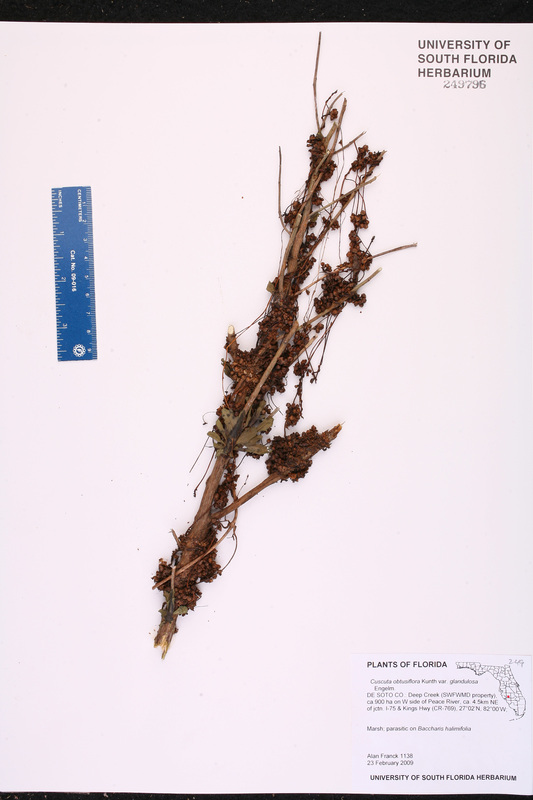 Determination History: Cassytha filiformis L.
Locality: USA. Florida. Levy Co.: Vicinity of Cedary Key and along FL 24 between Cedar Key and Otter Creek. 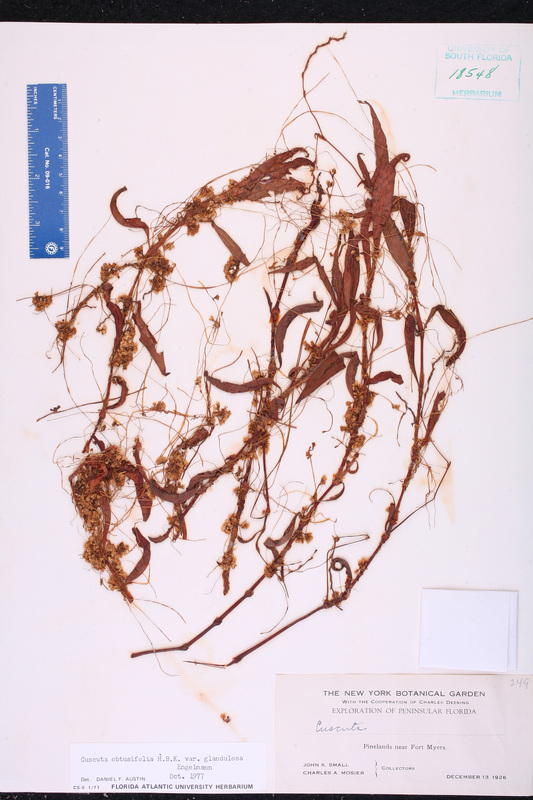 Determination History: Cuscuta campestris Yunck. Locality: USA. Florida. Pinellas Co.: Bordering Brooker Creek in NE part of county. Habitat: Peaty soil in pond cypress [Taxodium ascendens] - blackgum [Nyssa] - maple [Acer] swamp. 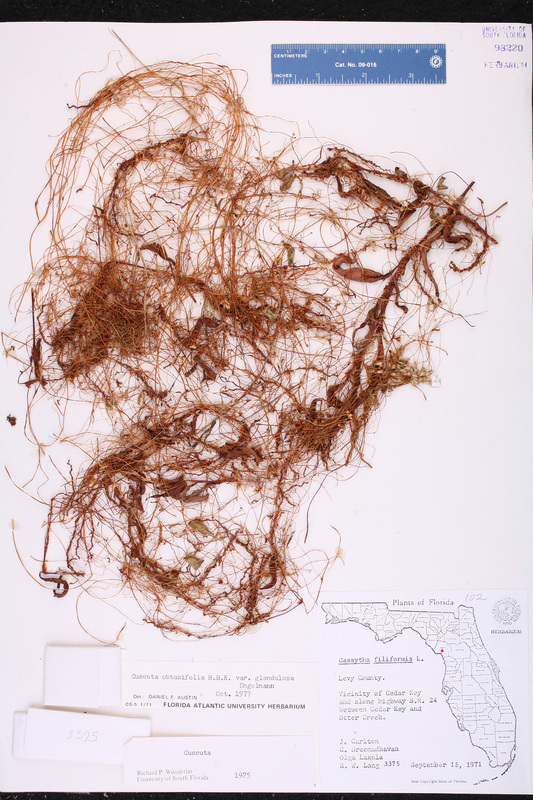 Currently Accepted Name: Cuscuta obtusiflora Kunth var. glandulosa Engelm. 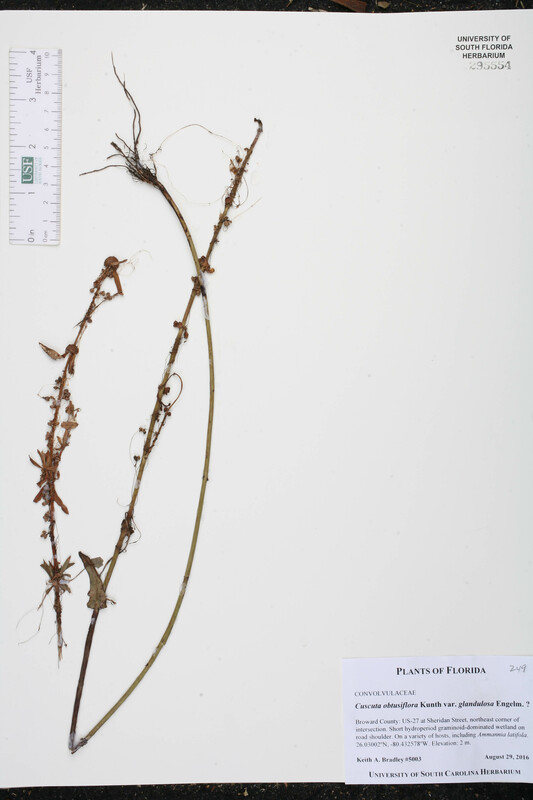 Habitat: On Baccharis halimifolia; marsh. 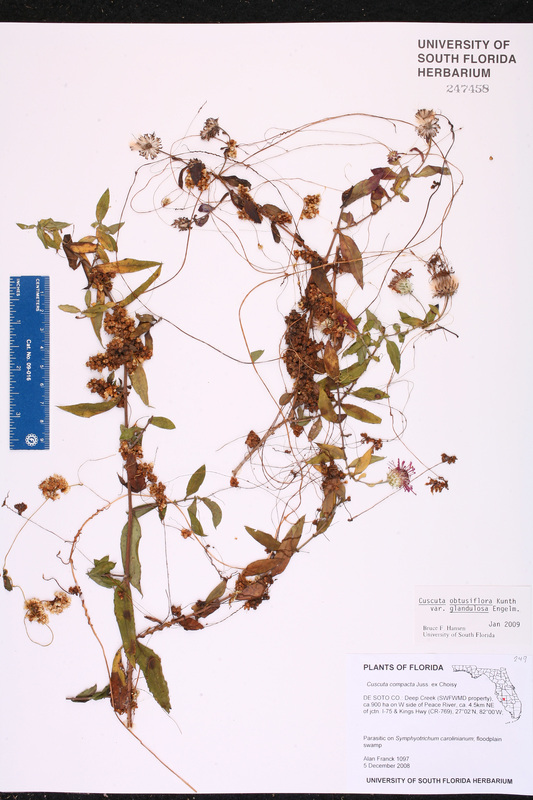 Habitat: On Symphyotrichum carolinianum; floodplain swamp. 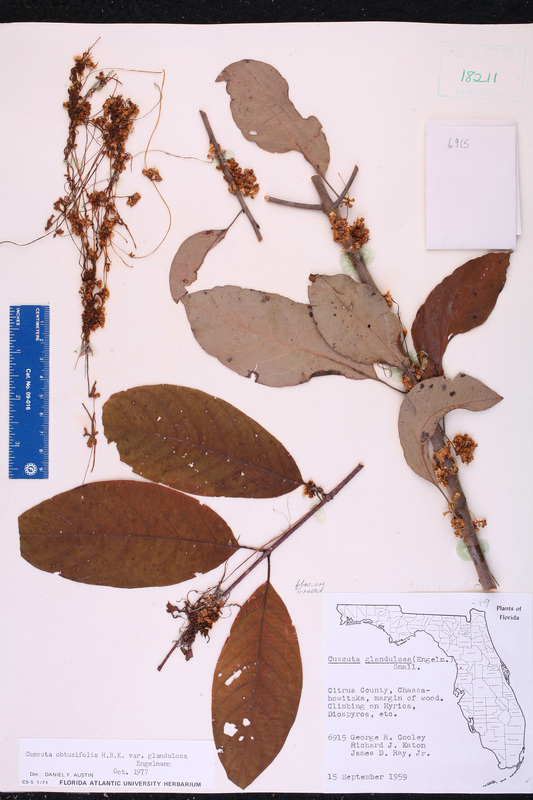 Description: On variety of hosts, inclulding Ammannia latifolia. Habitat: Short hydroperiod graminoid-dominated wetland on road shoulder.